College Homecomings. Family Reunions. These events remain popular because they bring people back. When you share an experience together, you want to be around those people again. It’s always good to come on back. 70% of employees who return quickly to the workplace avoid letting their condition consume their thinking. 76% of quick returners refuse to feel victimized by their injury. 90% of quick returners report having a good relationship with their supervisor. The longer an employee is away from work, the less likely he or she will return to gainful employment. Employees who are off work for more than 16 consecutive weeks rarely return to work at all. A robust Return-to-Work Program provides organizations with a defined set of rules and practices designed to help employees get back into the swing of activity at the worksite. A solidly defined, easily implemented Return-to-Work Program identifies ways of helping employees who have been hurt to come back in either a temporary role, or to their regular job, but with modifications as appropriate. Identify a coordinator to oversee all aspects of the program. Develop a formal policy, approved by management and agreed to in writing by employees. Be consistent in the administration and expectations of the program across all locations, and among all supervisors and employees. A Return-to-Work Program helps to ensure that meaningful work activity is provided as quickly as possible to employees who may be temporarily unable to perform all or portions of their regular work duties. 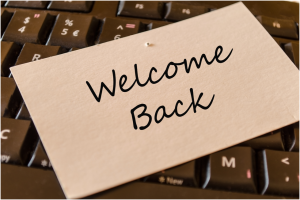 Studies show that a well-constructed Return-to-Work Program reduces lost-time days, allows workers to recover more quickly, creates a more positive work environment, and can even help minimize the financial ramifications of lost-time events, such as increases in the Experience Modifier score, which can raise insurance premiums by as much as 25 percent in one year due to lost-time accidents. Let the team at The Reschini Group help guide you regarding establishment of a Return-to-Work Program and its effect on insurance coverage options. Coming back to work means coming back to a positive feeling of productivity, which ultimately helps everyone. * Injured workers are required to be seen by a provider that is on the “Panel of Physicians” for the first 90 days after their initial visit. Insured’s work with their carrier to provide a panel at the beginning of the policy period based on the carriers pricing structure with that provider, the doctors willingness to work with companies on things such as RTW, and other aspects that they feel important, (ability to see patients on short notice, location, etc). After 90 days, the injured employee may see whomever they would like. The Reschini Group provides these updates for information only. To make decisions regarding insurance matters, please consult directly with a licensed insurance professional or firm.